Knock, knock. Who’s there? A fresh front door color combination. 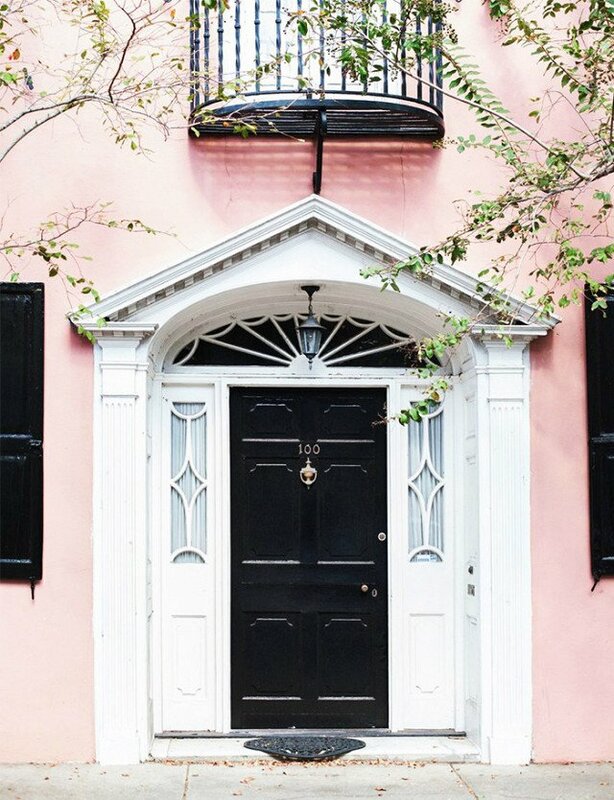 It doesn't get more classic that a jet-black front door, but in this case, the blush walls give the traditional shade a trendy new twist.